In Scripture, parents are instructed to teach their kids how to love God and saturate their home with the gospel (Deut 4:9, 6:1-7; Eph 6:104). Husbands and wives are commanded to mirror Jesus in their marriages (Eph 5:22-33). We understand these commands in light of the gospel—in light of Jesus Christ (2 Cor 4:6). Jesus is the hero of our families. 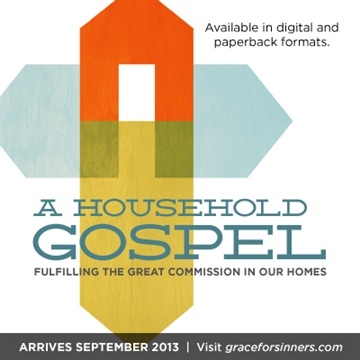 That’s what A Household Gospel is about. It’s ordinary means rooted in an extraordinary gospel. It’s about starting the great commission in our homes. It’s about rehearsing the gospel story when we sit to eat, lay down to sleep, rise up in the morning, and everywhere in between. 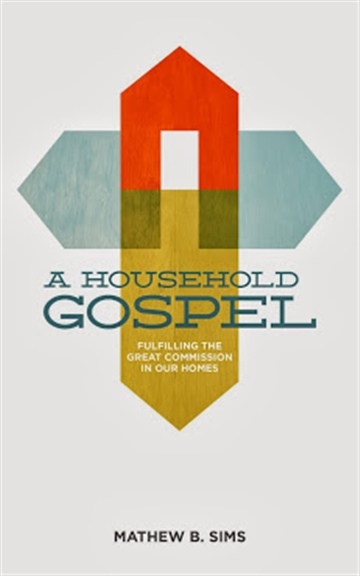 Mathew is the author of A Household Gospel: Fulfilling the Great Commission in Our Homes and writes regularly for Gospel-Centered Discipleship and The Council of Biblical Manhood and Womanhood’s blog. He completed over forty hours of seminary work. He works with technology by day and writes by night. He's married to LeAnn Sims who blogs at The Modest Homestead. They have three daughters who are joyful, mischievous, and full of wonder (he's outnumbered if you're counting). They enjoy having fun--romping in the woods, swimming, singing, laughing, and traveling. When the rabble-rousers are asleep, he enjoys watching a good movie with his wife. He also loves to read, hike in the woods, and cook. For good merit, he also enjoys running. And he's a prodigal Apple geek.